Check out the Treasure Island Flea Market this weekend! In addition to the 400 vendors, you'll find 25 food trucks, live music, drinks (cocktails, wine and beer) and a great city view. The Treasure Island Flea is held every last weekend. You've read the Bad Kitty books by Nick Bruel. Now see the show. It's a world premiere!. Bad Kitty brings to life the comic adventures of Kitty, her family, and her assorted quirky animal friends. Tickets:$22/adult, $20/senior, $18/kids, $13/groups (15 minimum). Get them here. Kind of like a Cliff's Notes for kids, take the kiddosto see Hamlet from Shakespeare on Tour, tonight. The San Francisco Shakespeare Festival's touring troupe is doing an abridged version, where you'll see this tale of a prince whose royal family is disrupted by revenge and corruption. There's swordplay and word play, plus "to be or not to be" that may sound familiar to you and the kids. It's recommended for elementary and middle school age kids. When: Thursday, January 28, 7-8:15 p.m.
Where: Foster City Library, 1000 E. Hillsdale Blvd. Sometimes when you or the kids are sick, the last thing you want to do is leave the house. Maybe you just want to lie on the couch. Or you have a sick kid at home, and who wants to drag a sick child out where they’ll not only feel terrible, but they might puke in your car? And what if you have more than one kid? You’re going to bring multiple children to the doctor’s office, or drag them along when you go to your own doctor? Heck, no. So this is what’s great about TrueCare24, a new California-based health service. Get a telehealth visit via video on your phone, tablet or computer. Or get an actual clinician to make a HOUSE CALL that won’t break the bank. 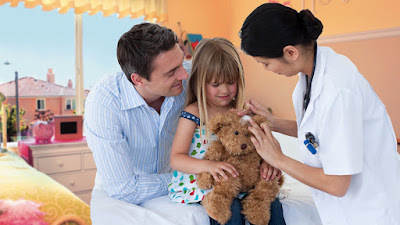 Have you ever had a house call from a pediatric specialist? I know! It’s like living in the Norman Rockwell era. Skiing is not a cheap sport. But you can still do it, even on a budget. I gathered some resources for you to help you plan a ski trip this winter, even if your means are more limited. A mom named Evelyn in San Francisco is the keeper of a lending closet of infant and toddler snow gear. She has clothes ranging from 3 months to 4T available for anyone to borrow for free. If you have gear to donate, especially for larger sizes like 5 and 6T, please reach out to her. She'll also accept mittens and gender neutral clothing to loan out. If you're interested in borrowing or donating clothes, fill out this form. 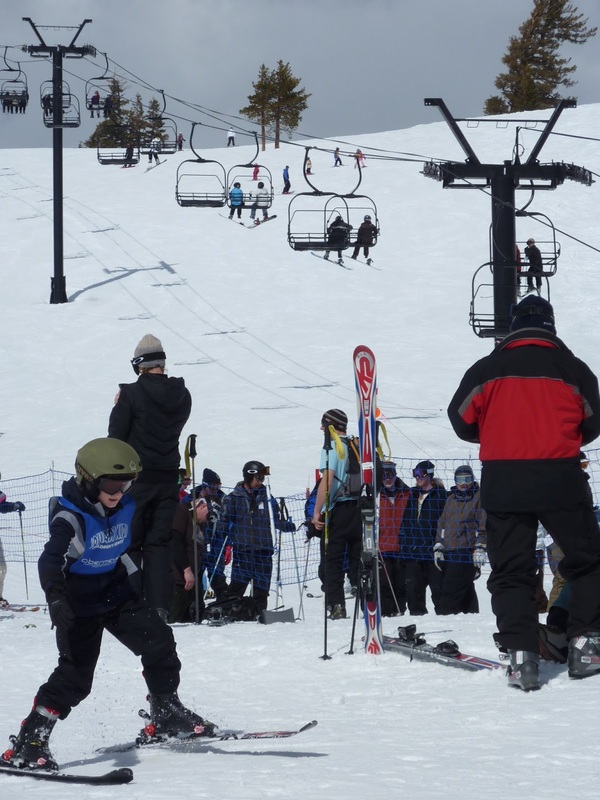 If you're flying into Reno, you can ski the day you arrive, for free. Details here. Looking into season passes? Check out the over/under here. How to plan a ski trip on a budget - a round-up of great links from fellow family travel bloggers. I wrote a piece last year for Gothamist on where to ski free. A couple of the options are good for the Bay Area residents, including the Shell's Ski Free deal (if you want to ski in Colorado), and getting a Tahoe license plate from DMV, which gives you 2 ski tickets in Tahoe. What are your best tips for skiing on a budget? If your kids are musicians, taking them to hear excellent performances of other kids (we're not talking about school shows!) can be an inspiration. 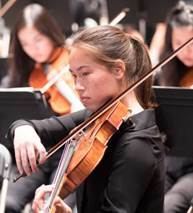 The San Francisco Symphony Youth Orchestra as well as the El Camino Youth Symphony, Marin Symphony Youth Orchestra, Oakland Symphony Youth Orchestra, and Young People’s Symphony Orchestra are performing a benefit concert for underserved youth. You'll get to see more than 500 kids perform! This is the sixth Bay Area Youth Orchestra Festival (BAYOF). Each ensemble performs separately, concluding with a piece by the “Festival Orchestra” which includes selected musicians from all five ensembles and led by Festival Orchestra Director Alasdair Neale. Where: Davies Symphony Hall, 201 Van Ness Ave, San Francisco Tickets: $70 reserved seating, $25 general admission, half price for 17 and under in general admission only. Get tickets online or by calling (415) 864-6000, and at the Davies Symphony Hall Box Office.